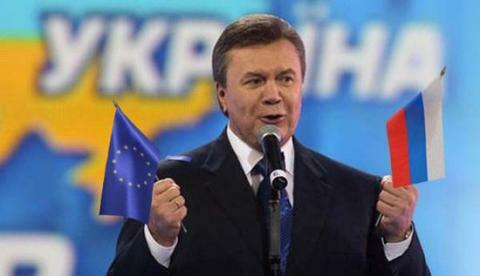 The files of treason case of former Ukrainian President Viktor Yanukovych will be transferred to the court in early March, Ukrainian Prosecutor General Yuriy Lutsenko has said. "It is predicted that the trial could begin in the first days of March," he told Interfax-Ukraine. Lutsenko said that the pretrial investigation is almost completed. "Now a few legal proceedings are about to take place and we will give pretrial investigation materials with the refined suspicion on the results of this investigation to Yanukovych's defence," the prosecutor general said. According to him, it will take a maximum of 17 days for Yanukovych's defence to familiarise with the case materials. As reported, the Pechersky district court of Kyiv satisfied the motion of the investigator of military prosecutor's office on giving permission to carry out a special procedure (in absentia) of a pretrial investigation in the case of high treason against Yanukovych. » Ukraine's Prosecutor General says Yanukovych questioning is PR-move to claim "illegitimate Kyiv junta"